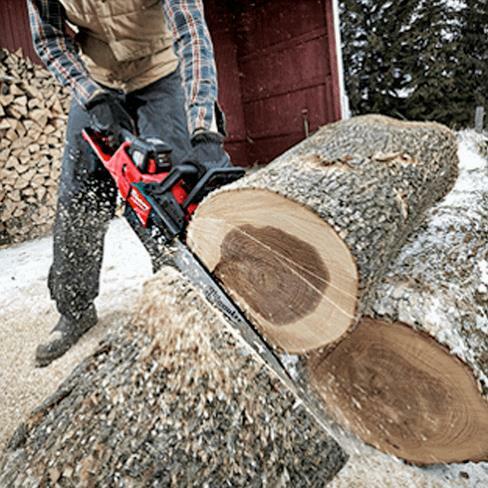 REDLITHIUM™ batteries last longer, think faster and work harder than all other professional lithium-ion batteries. Our exclusive integration of chemistry, pack design and circuitry come together for superior output in the harshest environments. REDLITHIUM™ batteries deliver more work over the course of your day and over life of the battery. Milwaukee® was the first to introduce lithium-ion cell technology in the industry and has continued to lead cell advancements, providing users with more power, run-time, and life. All developmental testing is done in our world class battery lab to ensure optimum performance and life under the most demanding jobsite conditions. By partnering with the world leaders in cell technology, we provide the best solutions for our systems and users. As a solutions provider, our design always focuses around the user - REDLITHIUM™ battery packs are no exception. REDLITHIUM™ batteries are best protected against harsh jobsite conditions through unique, patented designs. The result are packs that works harder and lasts longer, protecting our end users’ investment. 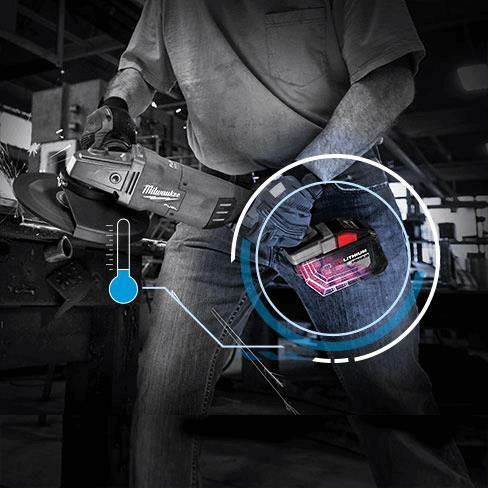 Milwaukee® was the first to introduce a fully intelligent system in the industry by integrating electronics in the battery, tool, and charger. This investment in technology has provided M18™ and M12™ systems that are fully forward and backward compatible. The sophisticated battery electronics monitor individual cells, provide temperature and overload protections, and allow optimized performance based on the tool and pack combination. Milwaukee® is committed to improving productivity by providing performance-driven and trade-focused solutions so users can perform an entire day’s work on one battery system. The M18 System includes 175+ tools, and is a true testament to Milwaukee’s focus on investing in technology to deliver breakthrough solutions for our users.